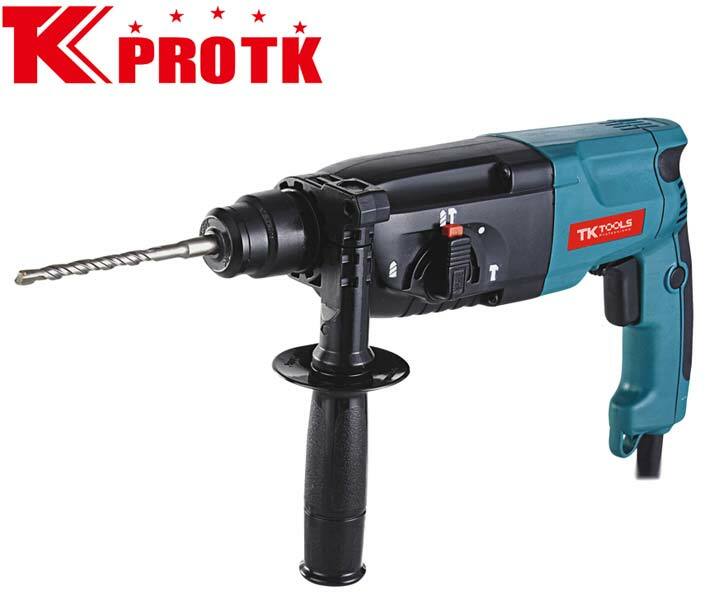 We are one of the leading manufacturers, suppliers and exporters of Rotary Hammer (Z1A-2414 SRE) from Yongkang, China. This model of Rotary Hammer is certified with RoHs, CE and GS. With the rated input power as 780 W, the no load speed of this rotary hammer is 0-1100r/min. Further, the net weight is 2.3 Kg and the maximum hole opening is 24 mm. The impact time of this hammer is 0-4500r/min. We are capable of handling bulk orders of this hammer at the most competitive price range.